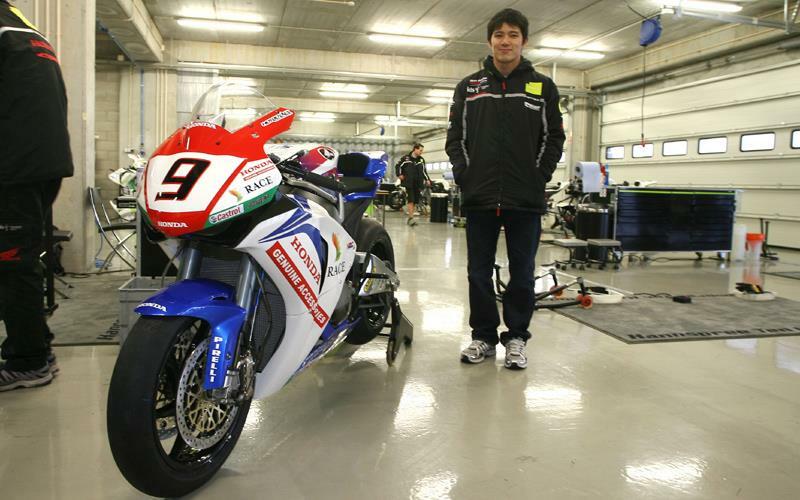 Ten Kate Honda unveiled an all new paint scheme for Ryuichi Kiyonari's World Superbike today (Friday). 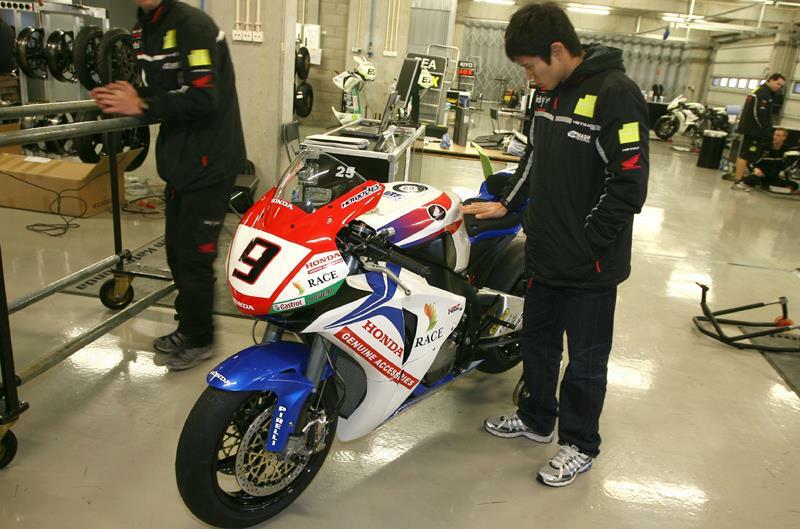 Having raced in Hannspree colours in 2008, Kiyo will race in Honda Accessories colours similar to last years Suzuka 8-hour race winning bike. For the first time since Colin Edwards raced the SP2 in 2002, HRC stickers are clearly visible on the Honda Superbike raising speculation that Kiyonari is racing a full factory HRC bike. However MCN were given access to the new bike and can confirm that the basic specification of the bike remains the same as Kiyo's 2008 machine and the same as team-mates Jonathan Rea's and Carlos Checa's machines. 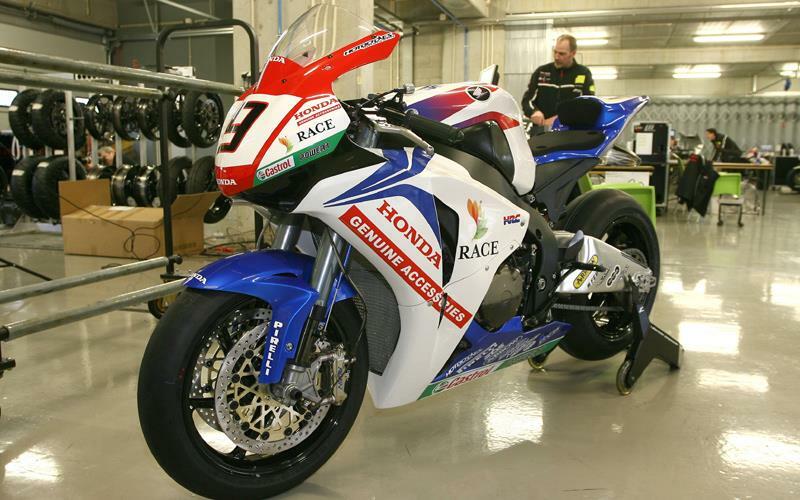 “During the 2008 season Hannspree confirmed that they would only back two bikes in WSB and two bikes in WSS. "Our team and Honda both wanted to continue to run three bikes in WSB because it gives us the opportunity to give young riders a shot. 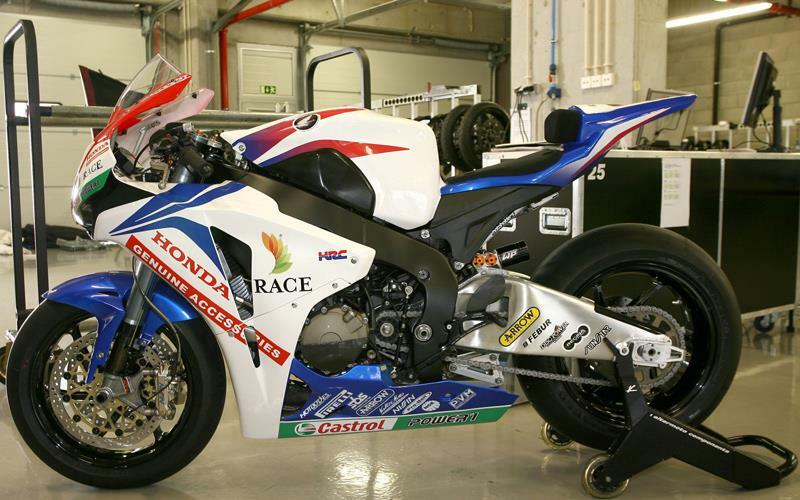 The funding for the third bike has come from Honda accessories and the paint scheme is close to the 8-hour replica, which Honda sell. "The reason for the HRC stickers is because like the rest of the team we use HRC Kit Parts. Honda's philosophy in WSB is to race with mass produced machine, which teams can tune to their own spec with HRC Kit parts.